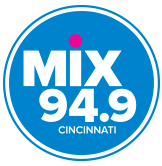 WREW Mix 94.9 is Cincinnati’s Best Mix from the 80s, 90s, 2000s and Today! Sort of like a fun soundtrack for your life, the music on Mix 94.9 is tailored to make your commute more enjoyable, your workday go by quicker and your weekends more awesome. “Hey kids, why is Mommy in such a good mood?” Now you know. Kick off your morning with The Mix Morning Show at 5am! Ray will play the best music while you work during middays, Jay Kruz will finish out your work day with Cincinnati’s Best Mix and Bud will keep the music going at night! We like to mix it up with upbeat music, contests and cash giveaways.